We're excited to offer an assembly next Monday for our students that addresses the common issues of students and how to stay focussed on the pursuit of goals and dreams. Assemblies will take place in each of the four CPS schools as well as a parent program in the late afternoon. “Passionate” and “real” are just a couple words to describe Mike Smith’s speaking presentations. Mike has the ability to captivate audiences of all ages and walks of life. His humor and spontaneous style leaves audiences on the edge of their seats and wanting more. Mike’s passion to push himself to the limit has given him a platform to engage today’s culture. He uses his past mistakes and life experiences as examples to capture the heart of the audience. On November 18th, while U.S. Government teacher, Craig Nobiling, was in Washington D.C. he sat in U.S. Representative of Nebraska's 3rd congressional district's office, Adrian Smith, for a Skype session to his government students back in Chadron. Skype is a free online live video conference. 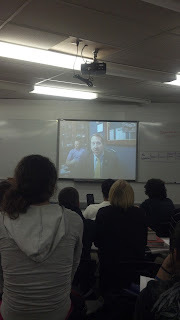 This allowed students to visit and ask questions to their U.S. Representative. Questions ranged from the national debt and social net programs to state issues and rural schools just to mention a few of the topics that students had prepared for Representative Smith. Rep Smith shared that he was impressed with the questions he was asked by students and would like the opportunity to share again and perhaps come to Chadron High School to personally visit with students. Thank you to all of the students that participated in the video conference, and a special thanks to Mr. Nobiling, not only for setting up this opportunity for our students but for the many Twitter updates and pictures he had sent from his tours and visit in Washington D.C. Four-Year Schools are not for everyone! On Monday, November 14th, Mrs. Hinrichs took a group of 18 students to visit the various campuses of WNCC. The group started at the Alliance Campus with Robyn Iossi, where they were able to see the nursing facilities and visit with faculty. 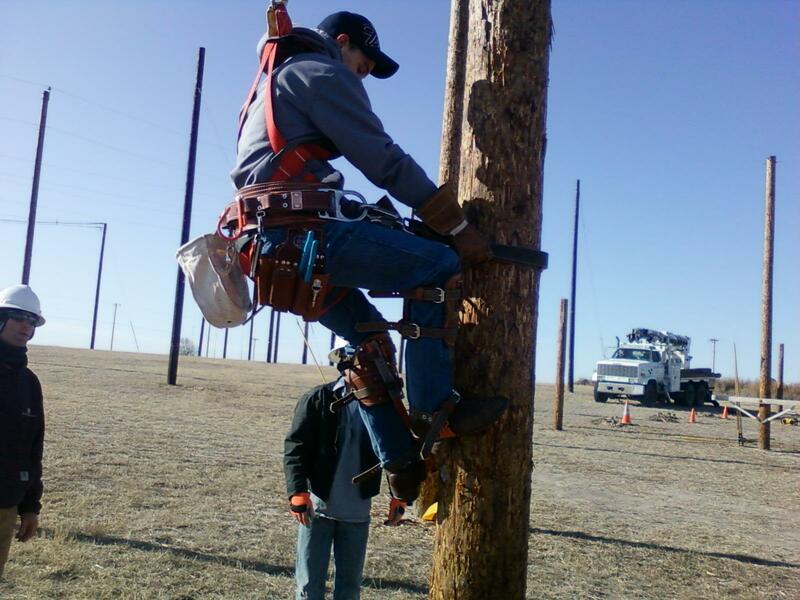 From there, the students went to the Powerline Program, which is located outside of Alliance. 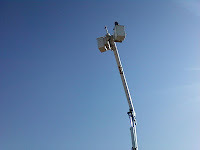 Students were able to go up in the bucket trucks and try their hands (or feet!) 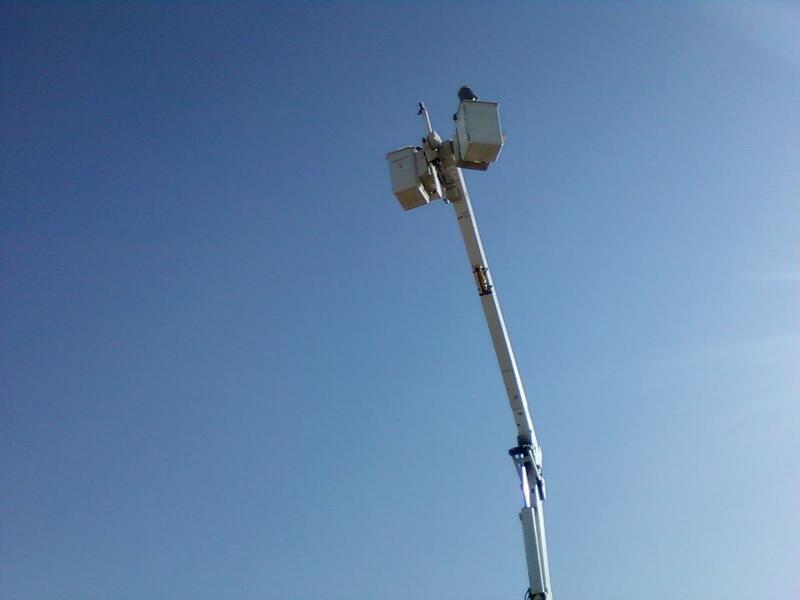 at climbing a power pole. Dr. John Corum provided some information regarding job placement for students who complete either the 12 or 15-month programs. It was cold and blustery but fun! Students then travelled to Scottsbluff and had lunch in the cafeteria at the main Scottsbluff campus of WNCC. Bambi Sell (Admissions Representative) gave tour of the Applied Technologies Areas (Auto Body, Auto Shop and Welding), following by the more traditional programs such as Business, Information Technology, Fine Arts, etc. The group was able to see the new dorm facility (Conestoga Hall) and finished up with a presentation on the process for continuing their education. Today our CHS Health Professions Club hosted their annual blood drive. The blood drive is partnered with West Nebraska Blood Center from Scottsbluff. CHS Health Professions is a large club of high school students and have been hosting the blood drive for several years as a community service. 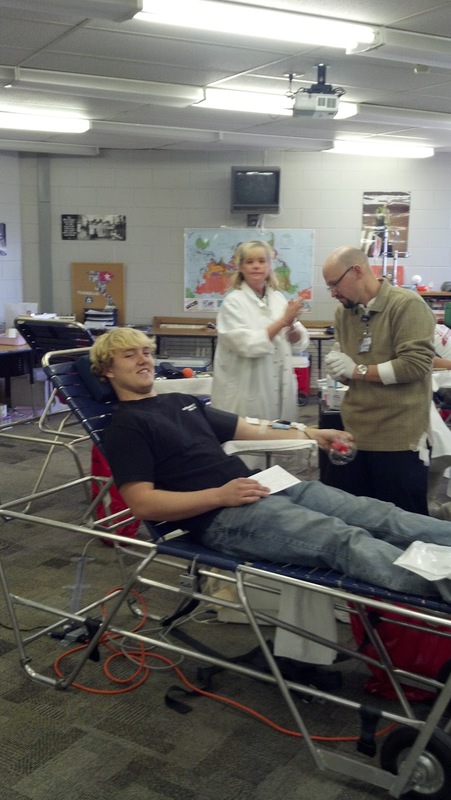 This year, all slots were quickly filled up by students, staff, and community members who came and donated blood. Thank you to all who helped to make this a successful event again this year! Chadron High FinanceChallenge Dominates the State! What makes this story extra special, is that Personal Finance teacher, Brenda Budler, randomly grouped her students into teams of three. They then had 4 teams place in the top 10 out of 186 teams statewide ..... Amazing!! The Fall FinanceChallenge ONLINE! sponsored by the Nebraska Council of Economic Education was introduced to the Personal Finance class as a great way to flex intellectual muscles and participate with students from across Nebraska in an exciting and fun competition. Well that is just what Mrs. Budler's Personal Finance classes did on Friday, November 11th and came out dominating the state of Nebraska. Out of 186 teams in the high school division, Chadron had 4 teams in the top 10!! Chadron Team 9 came out on top! First place honors were given to Tait Earney, Alisha Rising and Braxtyn Hespe. Each one of these students won a $25 cash prize from the Nebraska Council of Economic Education. They didn't stop there however, Chadron Team 6 ranked fifth place overall with the team consisting of Ashlyn Eitemiller, Zach Banzhaf and Calen Johnson. Chadron Team 5 received sixth place honors. 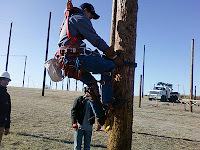 Team members included Megan Bradley, Logan Groves and Kenny Swiftbird. And wrapping up our top teams was Chadron Team 1 placing tenth and is made up of Nate Abegglen, Garrett Meisman and Nick Enos. Congratulations to these 4 teams for an outstanding job of representing Chadron in this intellectual challenge. Did I Just See A Rocket Fly Overhead?